It seems these days we get caught up in social networking for both personal and businesses use. Studies show that particular social networks, over the next 5-10 years, will inevitably lead to more of a promotional platform than a truly social network. Many businesses have joined Twitter to market a business. This platform also allows users limited personal branding. I would consider there are four major components of a Twitter profile that a user can “optimize”. 1. Twitter Background: this can include a customer image, stock photo or something that simply speaks to your industry. If you are in pharmaceuticals, you may consider a image that closely resembles this industry. Photographs are fine; however, we would prefer and suggest using something attractive and interesting. This is a great way of impressing others about your talent or brand. It can also help you stand out from the others in your industry. I would consider this twitter marketing tip more valuable than the others listed. People/customers will read images faster than your personal profile. 2. 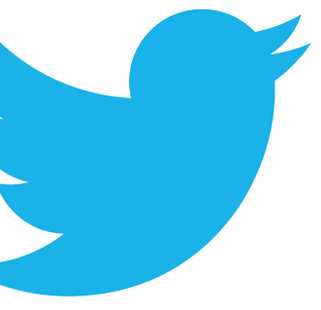 Twitter Photograph: There is a default image for Twitter avatar. Using this default image will not differentiate yourself from other businesses. Personal profiles should include a headshot or something that clearly shows your personality. Use images that may portray company logos, brand, location or industry. In my opinion it is not necessary to have a hired photographer but use something that looks clean, crisp and professional. 3. Twitter Bio: When you have the opportunity to post a Bio about your business, please consider having a professional edit the Bio. When something is engaging and interesting, especially a Bio, your prospects are more likely to trigger interest. For linking purposes, include a link to your website or blog in the Bio. This gives your prospects the opportunity to learn more about the company without opening Google, Yahoo or Bing! and researching your company from there. Again, this cannot be understated; make your Bio interesting and engaging so people want to learn more about who you are and what you do! 4. Tweets: The most common mistake businesses make with Twitter accounts is frequency. Post regularly – over the weekend and throughout the week. Typically, Saturdays and Sundays will perform better than those posts during the weekday. Include links to landing pages, CTA’s or “squeeze pages”. Use action-oriented language, valuable content and interesting topics to all viewers. Remember, businesses will mistake their social media networks as loud-speakers! Don’t let a lack of knowledge of Twitter be a weakness in your selling strategy! Social media efforts will directly impact lead generation. Use these tips to start making the most of your social media presence today. For other helpful tips on how to use Facebook and Google+ to advance your marketing efforts, check out another of my blogs about the power of social media!